Ottawa – Today, the Armenian National Committee of Canada (ANCC) joins Armenians across the world in celebrating the 27th Anniversary of Armenia’s independence. After centuries of foreign subjugation and a genocide perpetrated by the Ottoman Turkish Empire in 1915, Armenia was able to gain independence for the first time in 1918, only to lose it again to the Soviet Union in 1920. 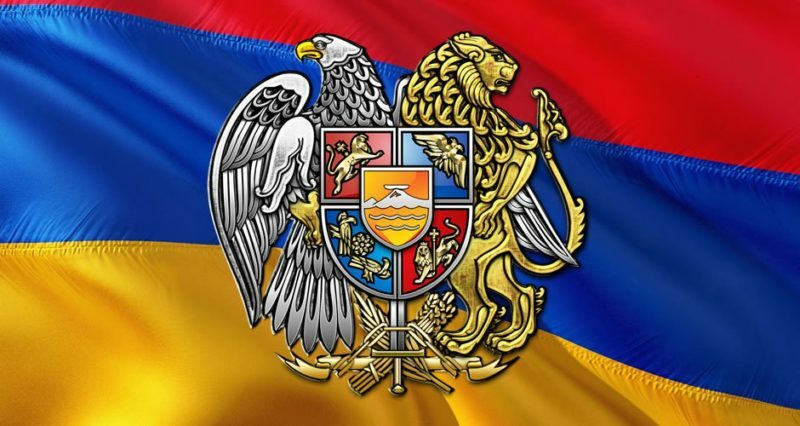 Following the collapse of the Soviet Union, the Republic of Armenia declared its independence on September 21st, 1991. However, shortly after this historic moment, neighbouring Turkey and Azerbaijan sanctioned an illegal blockade against the young republic, causing a considerable amount of economic hardship and instability. “Despite many foreign challenges, Armenia’s 27 years of independence have been marked by a stable and forward-leaning foreign and economic policy that has placed Armenia at the forefront of international attention” said Mirakian. Since 1992, Canada and Armenia have established and maintained strong bilateral relations that have been characterized by growing political cooperation, promising economic prospects, deep people-to-people ties and cordial cooperation within international organizations, such as La Francophonie. In October 2018, for the first time ever, Armenia will be hosting the XVIIe Summit of the “Organisation internationale de la Francophonie”, where Prime Minister Justin Trudeau will be leading the Canadian delegation. Besides its vital importance in fostering stronger relations between Francophone countries and preserving Francophone culture around the world, the upcoming visit will undoubtedly be recorded as the most important and historic event in the history of bilateral relations between Canada and Armenia. “We believe that alongside the summit of La Francophonie, this trip presents a unique opportunity for both countries to initiate high-level exchanges and further strengthen their bilateral ties, both within and outside of the framework of the anticipated summit. We are confident that a bilateral visit of the highest level will positively impact Canada’s geopolitical footprint in the South Caucasian region and bring new impetus to the already strong relations between Ottawa and Yerevan.” said Mirakian. “This trip also presents a unique opportunity for Prime Minister Justin Trudeau to visit the Armenian Genocide National Memorial in Yerevan and pay tribute to the 1.5 million innocent victims of the Armenian Genocide” concluded Mirakian. On this festive occasion, the Armenian National Committee of Canada wishes all Armenians a happy Independence Day.